As part of updating the server infrastructure I have built a replacement for our 8-9 year old backup server and a requirement of that is to have a local instance of SQL server to hold a small database of backed up objects and their state. 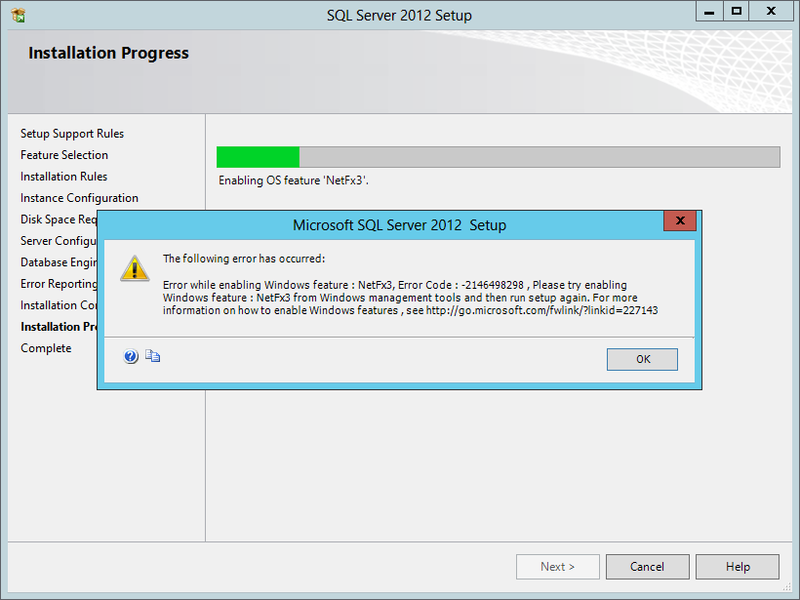 Moving the database from the old server to the new turned out to be more problematic than I first thought. 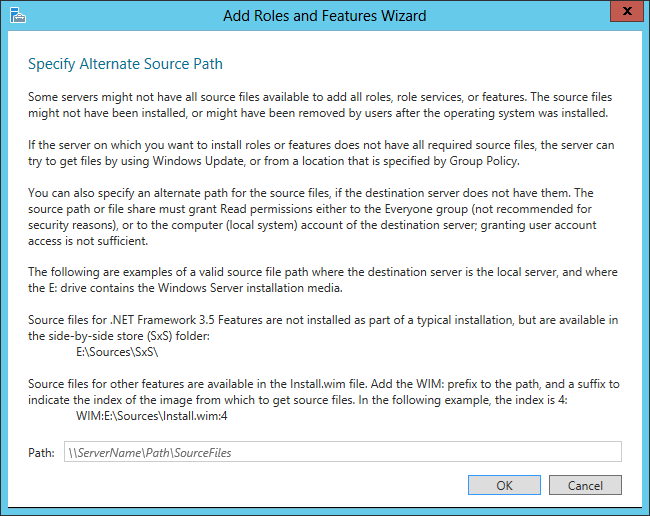 The first part was that SQL Server 2012 Express didn’t want to install itself on Windows Server 2012 and I received the message below. 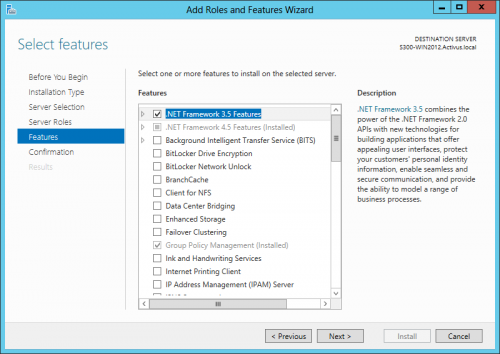 Error while enabling Windows feature: NetFx3, Error Code: -2146498298, Please try enabling feature: NetFx3 from Windows management tools and the run setup again. 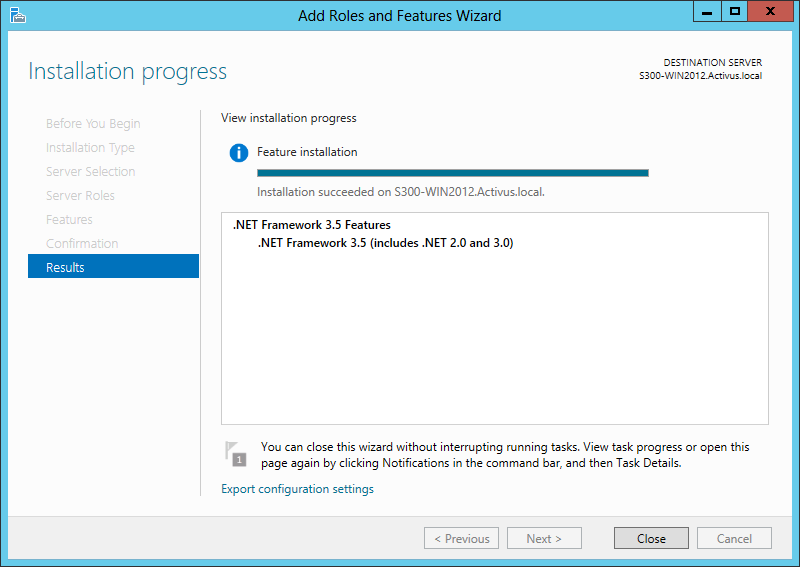 Fine, I’ll just stop and go install the NetFx3 feature. 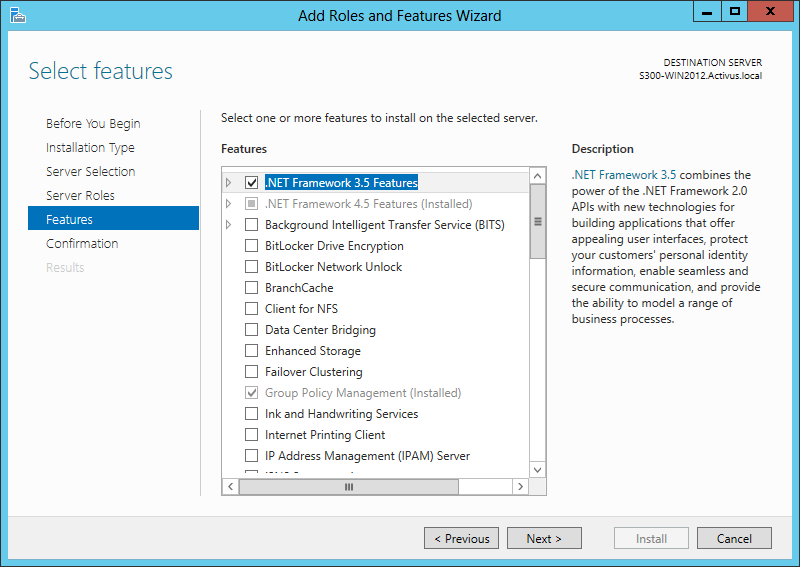 Except there isn’t a feature called NetFx3! 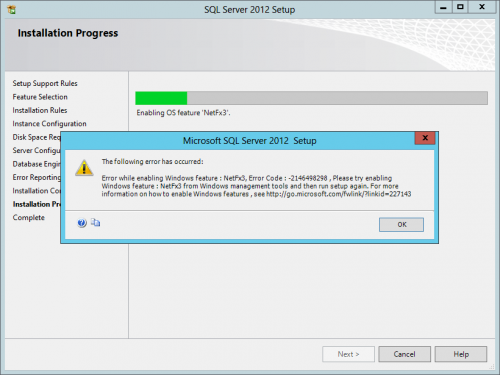 In fact what SQL Server needs is the .NET Framework 3.5 Features, it was something that SQL Server 2008 R2 would install automatically if it detected that it wasn’t present, but apprently not not the 2012 Express version. 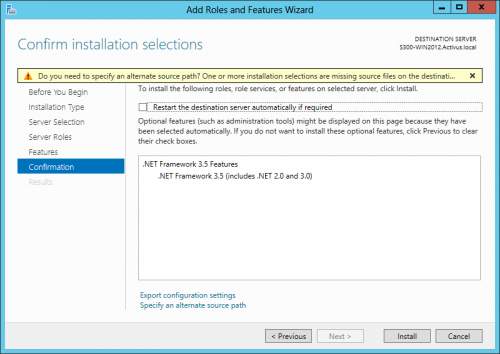 So go into Add Roles and Features and tick the box for the .NET Framework 3.5 Features and click next. Unfortunately you hit another snag here as .NET Framework 3.5 is a feature on demand i.e. one that is copied to the disk when Server 2012 is installed so you need the installation disk and then direct the installer to that as the source. 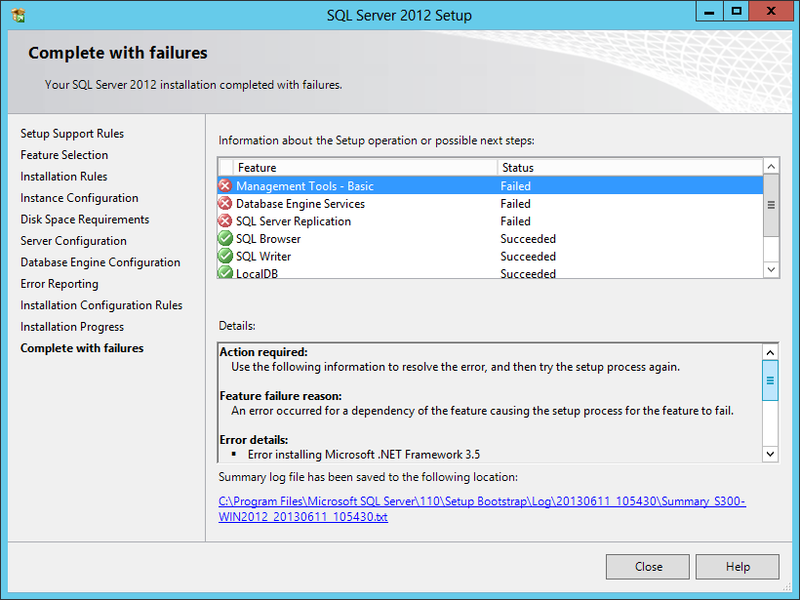 Unfortunately you can’t just continue the SQL Server installation at this point as you’ll get the following errors. You’ll need to start the installation process again, but this time it will be quick and easy.